Coloured T Shaped Bean-Bag Actor's Markers. 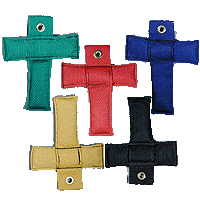 Coloured Bean-Bag Markers in the shape of a "T". Available in the following colours: Blue, Red, Orange, Green, Flourescent Yellow, Kodak Yellow, Purple, Pink, Black, White.